﻿ What is the ROI of Email Marketing? » Red Mango Marketing! Editor’s Note: The following is custom content provided by the Penton Food & Restaurant Group. Email offers the highest and most measurable returns for operators. But, there are some emails that generate higher returns than others. So, how do you know what kind of email marketing campaigns have a better return on investment? The answer is to know and flow with the trends. Referring to email marketing statistics and to understand what trends are working and then implementing them into your own email marketing strategy is the best way to increase your return on investment. The average ROI through email marketing is $38 for every $1 spent. Simply put, you invest a dollar and in return receive 38 times from it. Reports further state that of all the email campaigns being sent, targeted emails and list segmented emails drive 36% of email marketing ROI. According to a report from the Direct Marketing Association, 66% of consumers have made a purchase online due to an email marketing message. A 2017 report by the Direct Marketing Association stated that email remained undefeated, with ROI of email marketing at almost $41 per dollar spent. It has maintained its dominant position over other Internet channels, which remain far behind in their ROI results, such as mobile, $10.51; social media, $12.71; display, $19.72; and search, $22.24. With all the attention garnered by social media and smartphone app marketing, some might regard email marketing as old-fashioned compared to newer tech toys. The contrary is true, however, as email marketing not only remains effective but widely used. It also allows companies to employ customer relationship management, or CRM, to create better targeted and highly personalized customer messages. Email marketing reaches customers where they spend a lot of time each day — their inbox. For restaurant operators considering where to spend their marketing dollars, few more cost-effective options are better than email. And since the response rate is easily tracked, it will always be an excellent tool for determining an operator’s return on investment. Even large restaurant chains, with the best marketing strategies, continue to use email to share special deals with their audience. Their messages are customized using detailed demographic information and customer purchasing history collected through web orders. But while collecting audience data becomes easier over time, experts say some restaurant companies fail to use that valuable information to market directly back to their customers. As the founder of Restaurant Building Blocks, a consultancy in Montreal, Canada, Christopher Wells says that’s not surprising that many restaurateurs are people-oriented types who focus on personal relationships with customers but neglect their more technical marketing efforts, such as email. To make email marketing effective and generate a higher ROI, restaurants must build a robust email list to spread the word wide and far. Fortunately, there are many ways to do this, whether via the low-tech route of sign-up cards at every table, or through point-of-purchase reminders that lead customers to sign up online. Both options are highly successful in enticing customers to contribute information. The best lists are those that capture the most information about each customer. Not only does that cover the basics of names and email addresses, but also the next steps, such as birthdays and special anniversaries, preferred menu items — even favorite sports teams. Clever operators know to build special events around big games to encourage like-minded customers to join in the fun. Also, it’s wise to find out what customers want from your email marketing campaigns. Do they want to know about menu updates, promotions, or special events, and clubs tied to your restaurant? Knowing this information allows the operator to better target promotions to email recipients who want them rather than sending out a generic email. You also don’t want to overload customers with promotional emails tied to generic offers, says David Erickson, vice president of online marketing for Minneapolis-based public relations firm, Karwoski & Courage. “Restaurants fall short by offering underwhelming coupons that don’t have enough value,” he says. Sending emails without a clear idea of who’s receiving them depersonalizes the message and makes it ineffective, says Marc Falsetto, chief executive of JEY Hospitality Group (JHG), a multi-concept company in Fort Lauderdale, Fla. They also expect to get some swell deals. Falsetto says JHG’s email marketing offers to run the gamut, from food and drink freebies, to fashion-centered giveaways. In every case, the offers are unique. As a restaurant or franchise, you know your brand. Your owners know their customers best and details such as their location-specific menu items, promotions, and events. It’s important to decide which communications are best suited to send from your corporate email marketing platform, and which are best to send locally. This means the right traffic is being driven into your restaurants, location-specific details are getting to customers, and new customer email addresses are being captured. As restaurant owners, your locations or franchisees struggle to find the time and the money to market, especially as a startup, working day and night to keep the doors open and make payroll. They shouldn’t have to reinvent the wheel to do their own marketing. Maintain your brand and have one voice with the best email campaign ideas. Since franchisers are rarely equipped to offer individual marketing for each location, they need to empower potentially hundreds of franchisees with an intuitive, self-service marketing solution, especially for first-time marketers. This allows them to market locally with a strong brand identity, evaluate their results, and continually improve their marketing over time. Choose a system that allows you to create templates for any marketing efforts that your owners carry out, such as emails for customer birthdays, new menu items, events or specials. Make sure you can lock down branded sections while providing franchisees customizable sections for local information. Grow your email lists and sales with sign-up tools for Facebook pages and websites, as well as restaurant signage or receipts that enable mobile texting or scanning to join. Your group or franchise should be able to track success at both the local and network level through an easy-to-use dashboard. Your email marketing platform should also provide expert technical and marketing support services directly to anyone in your network. For someone like me, who hates numbers and statistics, calculating the ROI of email marketing seems like a nightmare, until I see an increase in communication, loyalty, brand awareness, customer interaction, revenue, feedback, and customer retention. Measuring the effect of email marketing gives you the confidence to reinvest your time and money where it counts: helping your customers find your business. Learn more about Constant Contact’s Restaurant Solution for groups and franchises here. 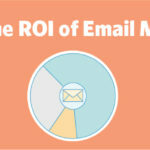 The post What is the ROI of Email Marketing? appeared first on Constant Contact Blogs. This entry was posted on Wednesday, December 26th, 2018 at 8:00 am	and is filed under Email Marketing, News & Updates. You can follow any responses to this entry through the RSS 2.0 feed. Both comments and pings are currently closed.